The complete composer guest line-up for the 2014 edition of the International Film Music Festival Province of Córdoba (July 20th–July 27th) has been announced. Renowned composers such as Academy Award winner Steven Price (Gravity), Abel Korzeniowski (A Single Man), Rolfe Kent (up in the Air), Christopher Lennertz (Supernatural) and fan cult favorite Craig Safan (The Last Starfighter) will take part in the 10th anniversary celebration of this premier cultural event. The festival will pay tribute to legendary composer Jerry Goldsmith (1929-2004), commemorating the fact that the composer was born 85 years ago and died 10 years ago. A unique Jerry Goldsmith Tribute will be part of the concert program with Carol Goldsmith, widow of composer, attending. Music from television will be the focus of one unique symphonic concert featuring music by attending composers such as John Lunn (Downton Abbey), Murray Gold (Doctor Who), Cesar Benito (El tiempo entre costuras), Debbie Wiseman (Wilde), and Christopher Lennertz (Supernatural). The guest list is headlined by this year’s Academy Award Winner for Best Original Score for Gravity, Steven Price, who also composed Attack The Block and The World’s End. His current projects include Fury, the latest movie starring Brad Pitt that will be released after the summer. Composer Rolfe Kent, author of more than 50 scores, among them, Up in the Air (the Academy Award nominated film), Sideways (Golden Globe nomination), About Schmidt and Legally Blonde, will attend the festival. Polish film and theatre, Golden Globe-nominated composer Abel Korzeniowski has announced he will visit Córdoba next July. After composing several scores in his country of birth, he moved to Los Angeles, where he composed the scores for different productions, among them Battle for Terra and the last film version of Romeo and Juliet (for which he has received several Goldspirit Awards nominations), A Single Man and W.E(directed by Madonna). For this two last films mentioned, he got two Golden Globe nods. He has written as well the score to the TV series Penny Dreadful, the two first chapters of which have been helmed by Spanish director Juan Antonio Bayona. The many Japanese film music fans will be delighted to meet one if Japan’s most important composers, Toshiyuki Watanabe, author of many film scores (Mothra, Kainatsu or UDON), TV music (Toshiietomatsu, Mori Motonari, Dondo hare and Friendly Time) and animation scores (Space Brothers). With the music of the last chapter in The Ring saga he won the Theater Music Award of the TV Academy. Soundtrack collector’s icon Craig Safan, a composer known for his symphonic scores such 1980s classics as The Last Starfighter and Remo Williams: The Adventure Begins, will attend the festival commemorating the 30th anniversary of The Last Starfighter premiering a newly written concert suite in one of the concerts together with selections of his other music. This 10th edition of the festival will spotlight music written for television, with a full concert presenting some of the best music written for television. Regarding music for Spanish TV productions, César Benito (El Tiempo entre Costuras, Vive Cantando, La chica de ayer and Los protegidos) will be our principal guest. Several composers of the international TV scene will attend: Christopher Lennertz (Supernatural, Revolution, who is also developing an impressive career in film and videogame music), John Lunn (Downtown Abbey and The white queen, that recently premiered on BBC), and Murray Gold (Doctor Who, Queer as Folk and The Musketeers’ aired on April on BBC). British composer and pianist Debbie Wiseman, known for her works for film and television and whose album for the Oscar Wide Fairy Tales was nominated for a Grammy Award, will attend the festival. In terms of Spanish composers, Sergio de la Puente, who has composed extensively for theatre, short films, spots, websites, TV programs and films such as the animated feature pre-selectioned for the Academy Awards The Missing Lynx, will be in Córdoba. Sergio Moure will also be at the festival. He has become one of the most sought after musicians in our country. He participated in the first and second edition of the Festival, so his attendance this year conveys a long delayed reunion. His are the scores of Unconscious (nominated for the Goya Awards), Cargo (composed with Stephen Warbeck, who won an Academy Award for Shakespeare in Love), A Good Man, Retornos, Kidnapped, Lobos de Arga (Attack Of the Werewolves), All is Silence, ‘The Body or Thesis on a Homicide. From Galicia, although with an international music education, we will welcome Nani García. Soloist, music producer, arranger and composer, he has a wide experience in different formats of audiovisual media and is the author of soundtracks for animated and fiction feature films, plays, short films or TV programs. His hallmark style is reflected in his scores for animation such as De Profundis, Wrinkles (Arrugas) or the multi-awarded short film El Gigante. Along with all of these guests, for the Jerry Goldsmith and Goldspirit Awards Galas, have confirmed their presence Alex Heffes (The Last King of Scotland and Inside Job), Sarah Class (one of the most sought after young composers in Great Britain), Joel Douek, Elik Alvarez and Freddy Scheinfeld (authors of music for film, television, documentaries and animation. As a special guest we will welcome Carol Goldsmith, widow of the great composer Jerry Goldsmith that gives his name to the awards that are delivered as part of the Festival to recognize the work of young composers. She personally gave the go-ahead to the creation of the Jerry Goldsmith Awards nine years ago and attended the first edition and will return now to attend the gala and the concert that will include a tribute to the music of her late husband, who scored films that are now part of the history of cinema (he was nominated for an Oscar in 17 occasions and got it for ‘The Omen’). The film music industry will be as always represented in the Festival through the attendance, among others, of Ray Costa (Costa Communications), Beth Krakower (CineMedia Promotions), Doreen Ringer Ross (VP Film / TV Relations for BMI) and Seth Kaplan (Evolution Music Partners), Vasi Vangelos (First Artists Management). As musical director of the International Film Music Festival ‘Province of Cordoba’ returns Arturo Diez Boscovich. His most notable work to date is the score to multi-award winning short film Fugue (Fuga) directed by Juan Antonio Espigares . His recent work includes the music for the TV seriesFragiles, the animated short film Miserere and the live action short film Desolado. He is currently the music director of Les Miserables- The Musical in its Spanish tour. Mikael Carlsson, soundtrack producer with over 250 score albums released on his MovieScore Media label, is returning as the festival’s symphonic concert producer. The International Film Music Festival ‘Province of Cordoba’, held from 20th to 27th July, will celebrate its tenth anniversary in high style, adding to their regular program to several activities commemorating the ten year history of this first rate cultural event. There will be different official venues throughout the province and the fourteen concerts of the previous edition will be exceeded. This special edition will also be the most television related, as it will give more prominence to the scores composed for TV series, both national and international . Regarding the concerts, in relation to the television field, Córdoba will host the world premiere of the live score suite for the hit series El tiempo entre costuras, by composer César Benito, who will conduct the Youth Orchestra of Córdoba on July 21st. In the same vein, the Malaga Philharmonic Orchestra will offer on July 25th, the program The Best of Television with music by the composers in attendance and other popular shows of the small screen. Regarding other planned musical events, the inaugural concert (July 20th) will commemorate the tenth anniversary of the event with a selection of the best pieces of film music heard in these ten years in the Festival and other great film music hits. The concert The Tales of Edgar Allan Poe (July 22nd), will mark an absolute premiere of the music composed by Sergio de la Puente for several short films that adapt Poe stories. The Orquesta de Córdoba will be on the spotlight in the ‘Best of the Best – Elmer Bernstein Award’ concert (July 24th) at the Grand Theatre and the ‘GoldSpirit Awards / Jerry Goldsmith Tribute’ concert (July 26th). Besides the concerts, there will be a wide range of parallel activities, such as a photographic exhibition throughout the month of July, with snapshots taken during the ten years of the Festival by the official photographer of the event, Julio Rodriguez; screenings of films or short films related to the guests in the tradition of Summer Open Air Cinema, or screenings of the work of students at the University of Berklee, thus maintaining the important collaborative relationship with this institution and the Festival . One of the most important and anticipated activities in the Festival is the celebration of the Goldspirit Awards Gala, which this year celebrates its XIII edition. It is a recognition that BSOSpirit Association helds in order to reward the best composers and scores over the past year. 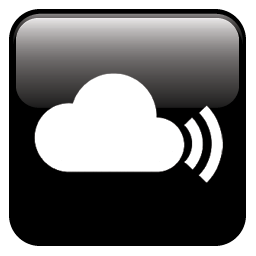 Visitors can fill out a form in the website www.bsospirit.com , and choose their favorite authors or soundtracks . The delivery of these awards will be held in a ceremony to be held on July 26th, which will be a review of the best works and composers of 2013, a total of 67 nominees, divided among twenty categories. Among the list of nominees for this edition of the Goldspirits, Brian Tyler stands with eight nominations, for the scores to Iron Man 3, Thor: The Dark World and Assassin ‘s Creed IV: Black Flag. The American composer is followed by Roque Baños with six nominations, including Evil Dead. 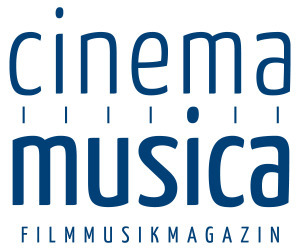 Hans Zimmer (Rush) and Abel Korzeniowski (Romeo and Juliet), will compete for the awards with five nominations each; while Ennio Morricone (La migliore offerta), Steven Price (Gravity), Anthony Gonzalez (Oblivion), Joseph Trapanese (Oblivion and Tron: Uprising), Cesar Benito (El Tiempo Entre Costuras) and Fernando Velázquez (Zipi y Zape y el Club de la Canica), will get four options each to get the statuette. Submissions for audiovisual works to be qualified for the Jerry Goldsmith Awards (ninth edition) is currently being accepted. The awards aim to recognize the work of musicians who are starting in the audiovisual field. The Jerry Goldsmith Awards are awarded in eight categories: long film music, live action short film, animation short film, documentary, advertising, promotional, song and free creation. Composers interested should access the website created specifically for these awards in http://festivaldecordoba.com/jerry-goldsmith/ and follow the rules of the competition. 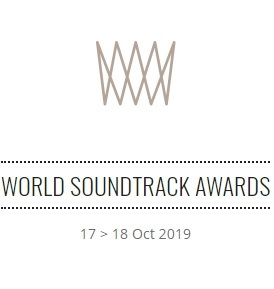 All finalists and especially the winners in the various categories will receive, in recognition of his contribution to the written music for the audiovisual medium, a plaque or certificate commemorating the event as well as the certificate of attendance to these awards gala. Also it will be sought to give maximum exposure in media to the honored composers. Teaser FIMCPC 2014 // IFMFPC 2014 teaser from Festival Cordoba on Vimeo.